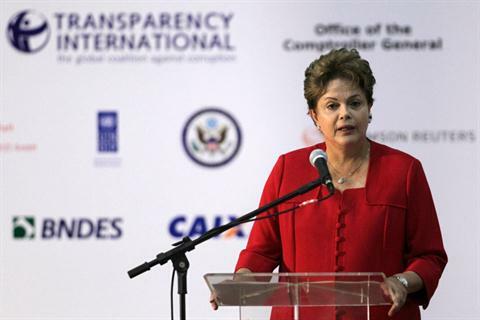 In her return to the podium at the United Nations General Assembly in September, Dilma Rousseff lambasted Western society for its perceived “islamophobia.” This rather contentious remark, made shortly after the killing of Washington’s Ambassador to Libya, was but a small piece of the Brazilian President’s well conceived rhetoric aimed at the world’s rich countries. Also highlighted in Ms. Rousseff’s speech was a strong condemnation of a potential U.N. mandated armed intervention in the ongoing conflict in Syrian. Observers currently estimate that each week 150 Syrians lose their life as a result of the sustained bloodshed, many at the hands of the Syrian government, led by president Bashar Al-Assad. Globally, a great number of people have called for a U.N.-mandated military intervention, perhaps on the level of a no-fly zone, in order to protect Syrian citizens from the abuses inflicted by their own government. In her speech, Ms. Rousseff decreed that the humanitarian crisis in Syria could only be ended via diplomacy, arguing that under no circumstances could military intervention become the appropriate response. In response to the posturing of the West’s representatives on the Security Council, Ms. Rousseff highlighted the year old Brazilian doctrine known as Responsabilidade ao Proteger (Responsibility While Protecting). This Brazilian policy doctrine, unveiled at the 2011 U.N. General Assembly, was designed as a response to the United Nations’ official policy position, commonly referred to as R2P (Responsibility to Protect). Adopted in 2005, the R2P doctrine represents the international community’s response to various failed intervention attempts during the 1990s and early 2000s in countries such as Cambodia and Rwanda. The doctrine is the base for the current movement by certain members of the Security Council to create a mandate for intervening in the ongoing Syrian conflict. The doctrine defines sovereignty as a responsibility, outlining a three-pillar process by means of which the international community may intervene if and when a sovereign government can no longer protect its own citizens. The first of these pillars states that governments have the responsibility to protect their own citizens. The second pillar declares that it is the duty of the international community, when necessary, to assist states in realizing this responsibility. The final pillar assigns the responsibility of intervention to the international community, and allows for military intervention only after all diplomatic measures are exhausted. The R2P doctrine to date is not a codified law, but instead a norm that derives its power from various bodies of international law including the U.N. Charter, International Humanitarian Law, International Human Rights Law, Refugee Law, and International Criminal Law. Critics of R2P argue that the U.N. lacks the codified structure with which to ensure appropriate and timely implementation of the doctrine. Another prominent criticism of the R2P doctrine is the absence of a mechanism that would protect against the possibility of abuse by members of the Security Council. In the 2011 Libyan intervention, for example, European members of the U.N. were accused of allowing economic consideration to influence their decision to support the use of coercive force. Joining the voices against the R2P doctrine, Brazil, an original party to the signing of the R2P doctrine in 2005, has taken an aggressive policy position with Responsabilidade ao Proteger. The Brazilian policy initiative not only adopts the two most common critiques of the R2P doctrine, but also invests heavily in the argument that coercive intervention will inherently result in greater violence and more victims. In a November 2011 speech to a U.N. body meant to debate the merits of the Responsabilidade ao Proteger doctrine, Brazilian foreign minister Antonio Patriota provided the details of his government’s policy initiative. Mr. Patriota explained that, much like the R2P doctrine, Brasilia’s policy initiative calls for the exhaustion of all possible diplomatic means before the use of force is considered, at which point only the minimal amount of violence necessary to protect civilians should be applied. Brasilia goes beyond the original R2P document in its call for oversight in the implementation of force, calling attention to the process of interpreting and amending a potential U.N. mandate to intervene. The Brazilian policy initiative also calls for a mechanism that would insure the accountability of those carrying out the U.N. sanctioned mission, suggesting that past interventions have only intensified violence and that acting powers were not held responsible. These changes, argued Mr. Patriota, would need to be designed and put into place via collective debate. Since the reset of Brazil’s approach to the outside world under President Jose Sarney at the end of the 1980s, Brasilia has progressively sought a larger influence in global politics. This should come as no surprise as Brazil represents the largest economy and largest population on the South American continent. As a part of this active insertion, Brazil has continuously sought a permanent seat on the United Nations Security Council. Brasilia’s Responsabilidade ao Proteger doctrine is clearly an extension of the country’s desire to position itself to become a permanent member of the U.N. Security Council. 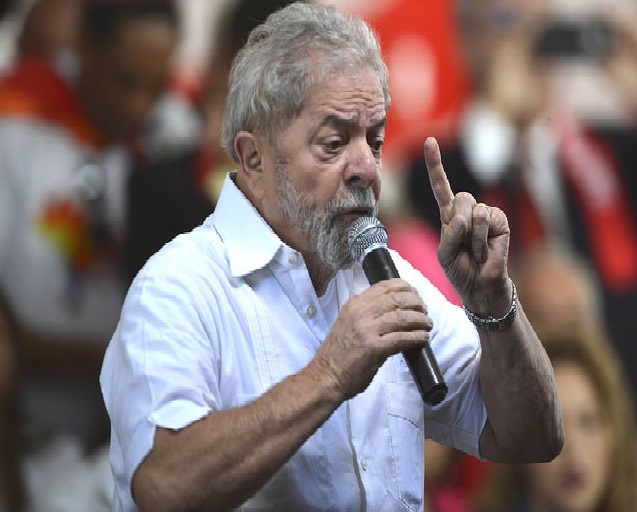 In highlighting the historic trend for interventionist measures that produce greater turmoil than stability, Brasilia can be seen as weakening the West’s ability to continue molding the international order according to its self-proclaimed democratic values. At the same time, however, Brazil is providing greater credence to the Russian and Chinese unwillingness to harshly criticize the Assad regime and back a U.N. mandated intervention in Syria. Despite recent moves seen as attempts to bolster its credentials for becoming a permanent member of the Security Council, such as leading the U.N. peace mission in Haiti and becoming a contributing member of the International Monetary Fund (IMF), Brazil does not have the military capacity to contribute effectively to a complex intervention mission. Despite this weakness, by means of its policy doctrine, Brazil is attempting to strengthen its position in the realm of high international politics. In questioning the legitimacy of UN sanctioned interventionism, and by declaring diplomacy as the only path to reconciliation, Brazil is effectively negating the weakness of its military while suggesting the possibility of a new paradigm for collective security. With death tolls already mounting in the tens of thousands, and hundreds more being killed weekly, the Syrian conflict is in dire need of resolution. Unfortunately, such conflict resolution is never easy. Intervention, which has been requested by both the Arab League and Turkey, presents numerous complications. 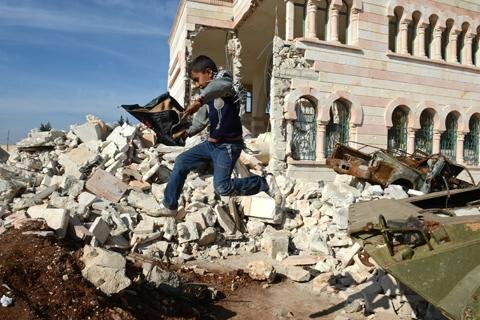 Coercive action, which would almost certainly lead to the toppling of the Assad regime, would also bring about the consequent need to aid in the construction of a rebel-led government in order to insure lasting peace and security. However, political change is not part of the R2P doctrine. If intervention in Syria were to produce political transition sponsored by a Western military force, the Brazilians would be seen as justified in their argument against the doctrine. When it comes to aiming at a permanent seat on the Security Council, Brazil may be hurting its chances by putting itself in opposition of the West. Presenting another complication to Brazil’s plans is the emergence of a new competitor for permanent status on the Security Council. In a response to a spill over of the violence in Syria into its own territory, Turkey has supported the argument for a U.N.-mandated intervention, and in the process picked up backing for its own campaign seeking permanent status on the Security Council. However, Brazil’s role should not be perceived as mere rhetorical positioning. Instead, one must understand Brazil’s historic tendency towards supporting non-coercive approaches to conflict resolution. As recently as 2009, Brazilian President Luis Inácio de Silva brokered a deal in which Iran agreed to give up enriched uranium in exchange for medical isotopes, only to have the agreement later thwarted by the United States. And in 2009 Brasilia offered protection to Honduran President Emanuel Zelaya after the Democratically Elected official was unceremoniously ousted from his country. Most importantly, however, a voice against the impunity for those that carry out destructive military campaigns in the name of humanitarianism and democracy must be heard. That it should come from Brazil only bolsters the importance of emerging nations and gives greater credence to the possibility that such countries could play a greater role in a new world order. It is also of importance that the world is brought to see that the pursuits of the West may in fact not be completely altruistic, that political and economic motives often drive the decision to intervene. While it will continue to be critiqued by many, and misunderstood by most Westerners, the position that Brazil has taken is of the utmost importance for the democratic function of the international system. This being said, it is crucial that Brazil measures its words wisely, so as to not allow itself to obstruct a just and practical intervention that would save the lives of thousands of Syrians. Requests for bibliographic information may be directed to coha@coha.org.